If you have tax debt and you need relief, you need to know your resolution options. If you have trouble paying your tax bill, be sure to stay in contact with the IRS. Avoiding them could make your situation worse. Also, file your return on time even if you can’t pay the taxes due. Keep in mind that while the IRS may waive penalties, they will not waive interest charges. A short-term extension is an agreement that you make with the IRS. This arrangement will give you up to an extra 120 days to pay the balance in full. You will still be charged interest, but you won’t be assessed any penalties if you pay as agreed. If you need longer than 120 days to pay your taxes, you can set up an installment agreement. You can apply online to set up the agreement if you owe less than $50,000. Those who owe more need to call 1-800-829-1040 to set it up. $43 if your income is below a certain level. You will need to pay at least $25 per month toward the debt. Also, be aware that all future refunds will be applied to your debt until it is paid in full. The last option is an Offer in Compromise (OIC). An OIC is similar to a settlement. You will make an offer to pay less than the full amount due as payment in full. The IRS may either accept or reject your offer. Lump Sum Cash option – You need to send in your application, $150, plus 20 percent of the total offer amount. Once the IRS accepts your offer, you must pay the balance of the offer in no more than five installments. Periodic Payment option – You must send in the same initial payment as above, however, you will also make monthly payments while waiting for a written decision. Once accepted, you continue making payments until the balance is paid. Low Income Certification – If you meet low income guidelines, you do not have to send the application fee or the initial payment. You will not have to make monthly installments while waiting for approval. The IRS may temporarily stop collection efforts if you are unable to pay because of a current financial hardship. Once your financial condition improves, collections will begin again. You will also be charged interest and late payment penalties. The post You Have Tax Debt – You Need Relief – Learn Your Resolution Options appeared first on Debt America. IRS issues are very disturbing. Many people feel panicked because they never know where to start to tackle these problems. However, there are a few things that they can do that will help them take on their tax issues in a permanent way. The worst thing that people can do is let their IRS problems sit unresolved. Usually, when the IRS sends out a notice, recipients have up until a certain date to settle it. If that date passes and the issue still hasn’t been discussed with the federal agency, then the individual is guaranteed to face fines in addition to the money that they already reportedly owe. If you received a notice from the IRS and don’t know what to, follow these steps to take on your IRS tax problems. First, read the notice a couple of times because it’s generally hard to perfectly understand. 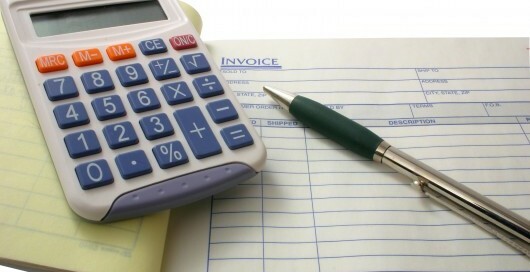 Make sure that you take notes regarding the tax year that is referred to on the notice, the specific issue in dispute, and the amount to be paid. Second, analyze and compare the information written on the notice with the one on the tax return that you sent for that particular year. Third, call the IRS officer whose contact information is listed on the notice in order to have some advice on how to proceed. Make sure that you write down the agent number as well as any other details pertaining to the conversation. After that, you ought to get in touch with a certified public accountant to discuss about the IRS notice and see whether they can represent you on this matter. When headed to the meeting with the CPA, gather and bring all the documentation that is related to the case brought by the Internal Revenue Service. For instance, if the IRS notice states that you took money from your 401K and that this ought to be counted as income, you must provide your CPA with forms that show that you rolled over into a new 401K in a tax-free transaction. Regardless of the issue that you have with the IRS, try to apply the steps listed above and you should be able to solve it easily. The post Need Help With The IRS? Follow These Steps to Take on Your IRS Problems appeared first on Debt America. If you need IRS Tax Relief, help is available. Your first step is to notify the IRS if you have trouble paying your tax bill. Also, make sure you file your return on time, even if you can’t pay the taxes. If you file late, additional penalties will be added to your total due. Any amount you send in will help you avoid penalties and interest charges. The agency may be able to provide some relief such as a short-term extension to pay, an installment agreement or an offer in compromise. In some cases, the agency may be able to waive penalties. However, the agency is unable to waive interest charges which accrue on unpaid tax bills. If you need a short-term extension, you can normally make an agreement for up to an extra 120 days to pay the balance in full without occurring any fees. Interest charges will still apply. If you are unable to pay your tax bill within 120 days, you can set up an installment agreement. You can apply online; if you owe more than $50,000, however, you must call 1-800-829-1040 to set up the agreement. Your monthly payment must be at least $25 and all future refunds will be applied to your debt until it is paid in full. If you are unable to set up an installment agreement you may propose an Offer in Compromise (OIC). An OIC is an agreement between a taxpayer and the IRS that resolves the taxpayer’s tax liability by payment of an agreed upon reduced amount. If you opt for the Periodic Payment option, you must send in the same initial payment with your application, however, you must also make monthly payments while you are waiting for a written decision. If accepted, you continue making payments until it is paid in full. If you meet the Low Income Certification guidelines, you do not have to send the application fee or the initial payment and you will not need to make monthly installments during the evaluation of your offer. If you are unable to pay anything because of a current financial hardship, the IRS may temporarily suspend certain collection actions until your financial condition improves. However, interest and late payment penalties will continue to accumulate. The IRS recognizes that many Americans are struggling in this economy. To help more tax payers, the IRS has expanded its programs to help a greater number of tax payers make a fresh start. The worst thing you can do is avoid the issue. Explore the options listed above, determine which option best fits your situation and apply as soon as possible. The post IRS Tax Relief: What are My Options? appeared first on Debt America. Presenting more flexible terms to their Offer In Compromise (OIC) program, the IRS launched their “Fresh Start” initiative earlier this year and expanded it recently in May 2012. The new program is set up to help the most financially distressed taxpayers to resolve their tax problems more quickly. With the ability to better target qualifying taxpayers, the program makes it possible for debtors to clear up their tax problems in as little as two years. Offer-in-Compromise allows consumers to settle any back taxes for less than the total amount owed. In the past, many taxpayers found it difficult to settle tax debt. This was due to the strict financial guidelines that were used to evaluate OIC, which many times, would result in offer amounts that were beyond what the taxpayer could reasonably pay. The adjustments to the program come after the IRS recognizes that many taxpayers are still struggling to pay their bills. They wanted to apply a common sense approach to reflect real- world scenarios. “We are very excited about the implications of the Fresh Start initiative for consumers. We are confident that these changes will enable us to help out many customers who are oftentimes in very challenging situations,” says Harry Langenberg, Managing Partner of Optima Tax Relief. Among the changes, the IRS has developed a Streamline OIC program. Now, when the IRS calculates a taxpayer’s reasonable collection potential, it will revise the calculation and look at only one year of future income for offers paid in five or fewer months, down from four years. And two years of future income will be looked at for offers paid in six to 24 months, down from five years. The new streamline program minimizes the amount of financial information requests. It also requests information via personal calls and has a quicker turnaround time in the decision process. This program will help Optima Tax Relief to settle tax issues sooner and more easily. Optima Tax Relief, a full service tax resolution firm has assisted many customers with obtaining resolutions to their tax problems. Optima employs a highly professional servicing team, including in-house attorneys, enrolled agents and CPAs that assist clients with bank levies, tax liens, payroll garnishments and social security garnishments. “Although the IRS has made qualifying for the Offer-in-Compromise program easier, every case has its challenges. That is why it is so vital to have a team of professionals that have the knowledge and experience to work on your case,” says David King, Director of Operations. Optima Tax Relief, LLC, headquartered in Orange County, CA, is a nationwide tax resolution firm which provides assistance to those individuals struggling with unmanageable state or IRS tax burdens. The company’s unique two-phase approach to tax relief is revolutionary in the industry, as it allows consumers to have clarity about their options before they pay fees toward a resolution program. Optima received full accreditation by the Better Business Bureau, and it consists of a highly professional team of individuals that have many years of experience helping clients with their financial issues. 1. Government deficits will continue. Look for a fiscal year 2012 federal deficit up in the stratosphere of $1.33 trillion! If all the government borrowing and interest on the debt is taken into account, we can expect the debt to grow even faster. The deficit provides a powerful impetus to the IRS to be aggressive and relentless in its collections. Even so, the IRS estimates that about 16 percent of people who owe taxes never file. That delinquency costs the government over $500 billion each year and makes the IRS look bad. 2. The IRS will improve its collection enforcement process. Giving final notice of IRS “Intent to Levy” much earlier in the process. This forces a longer appeal process, but could cause the taxpayer problems if the appeal is not filed quickly. Quicker levies to bank accounts and wages when the IRS feels that the taxpayer’s appeal has not been filed early enough. Dealing with taxpayer levy appeals and “frivolous” Tax court cases. Previously it took 6 to 12 months for such appeals. The IRS has cut that time in half. Moreover, if the IRS can convince a tax court judge that someone has filed a Tax Court case with no merit and for the purpose of delaying the process they will file a motion for summary judgment as well as sanctions. 3. The deficits will not be resolved by less government spending. Unfortunately, so long as we have a federal government with its millions of people who benefit from government, the deficit will not go away anytime soon. In fact, over half of the federal budget (i.e., entitlements) each year is spent before any government agencies gets their budget. Again, the IRS, as the principal revenue- raising agent, can expect to experience even more pressure from law makers to at least collect what is already owed. In view of public pressure and the continuing recession, the IRS will likely be more willing to engage in the “Offer in Compromise.” Using that process, eligible taxpayers can wipe out a hefty tax debt. Here at Optima Tax Relief we can help with tax negotiation and settlements, back taxes, etc. The IRS brings good news this week to middle-class Americans who continue to struggle with tax debt by expanding their Fresh Start Initiative. Loosened guidelines for the Offer in Compromise program, which forgives a portion of a taxpayer’s debt, will allow more Americans to qualify as well as eliminate their tax debt in as little as two years, compared with four or five years. The adjustments to the program come after the IRS recognizes that many taxpayers are still struggling to pay their bills. They wanted to apply a common sense approach to reflect real-world scenarios. Revising the method of calculating taxpayer’s future income. Flexibility in repaying student loans. Expanding the Allowable Living Expense allowance (expenses such as credit card payments and bank fees can now be taken into account). The changes will allow many more consumers to qualify for tax relief under the Offer in Compromise program. Specifically, when the IRS calculates a taxpayer’s reasonable collection potential, it will now look at only one year of future income for offers paid in five or fewer months, down from four years, and two years of future income for offers paid in six to 24 months, down from five years. 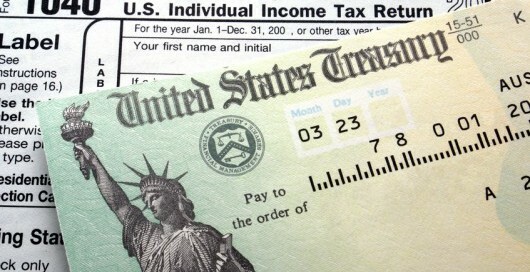 The IRS, having a reputation of rigidity, surprised many Americans with this welcomed announcement of increased flexibility. Full details of the announcement are available at theIRS website. Dealing with the IRS can be a nerve racking and pain staking process for taxpayers. The Internal Revenue Code is so complicated and convoluted that most people feel completely in the dark when approaching the IRS to resolve their tax debt problems. The less knowledge a taxpayer has about the inner workings of the IRS, the more intimidated they feel when it comes time to resolving their issues. This complexity and intimidation is a significant advantage for the IRS when it comes to negotiating with most consumers. 1. The approval percentage of an Offer in Compromise is significantly higher when submitted by a tax professional. Submitting an Offer in Compromise (OIC) is a very intricate process, and there are many underwriting guidelines that need to be met to be successful. An Enrolled Agent, CPA or Tax Attorney with sufficient experience in the OIC process knows the eligibility requirement and what the IRS is looking for. It is paramount that a consumer has professional help to tailor these offers properly. 2. The conviction rates of IRS criminal cases is above 80%. When it comes to criminal cases the IRS has a very high success rate. If you are facing civil or criminal tax charges from the IRS, getting professional legal representation is absolutely indispensable. 3. The IRS would rather settle your case before it goes to trial. The IRS is an incredibly overworked and underfunded agency. If they have an opportunity to settle your case before it goes to the courtroom, they would prefer that option. Tax Resolution professionals are trained to take advantage of these settlement opportunities on your behalf. 4. The IRS will typically only move to seize assets when it cannot resolve otherwise. It is in your best interest to begin the settlement process with the IRS as soon as possible so that you demonstrate that you are willing to resolve your back tax issues. Showing you are willing to engage the IRS will help you retain your assets while you are in the process of negotiation. 5. There is no percentage limitation on what the IRS can garnish from your paycheck! The IRS is the most aggressive collector on the planet. This should be reason enough to seek help from a reputable Tax Resolution company to resolve your unpaid tax issues with the IRS. 6. In many instances, entry level auditors and collection agents do not have tax or financial backgrounds. Be very selective who you choose to help you in IRS tax resolution assistance. Typical tax preparation companies and accounting firms are generally not trained in handling the various IRS resolution strategies. To resolve past due taxes and become compliant with the IRS, you want to work with a professional that has in depth knowledge and has successfully represented numerous clients in IRS negotiations. 7. The IRS has a 10 year period to collect taxes from the due date, but can extend this out in many cases. Just because the IRS did not come calling after a couple of years of missed taxes does not mean you are in the free and clear. They most likely have not gotten around to processing your file yet. You should be proactive about becoming compliant now, to avoid worse problems down the road. Eventually your file will rise to the top of their stack. 8. Taxes are very difficult to remove through a bankruptcy. Even through bankruptcy, unpaid taxes can stay with you. Bankruptcy is not a solution to your unresolved tax issues. Even if you have filed bankruptcy, or are considering it, make sure to get legal advice on how that might affect any back taxes you owe to the IRS or state agencies. 9. Anything you write or say to an agent can be used against you. This is one of the most important reasons how an experienced Tax Relief organization can benefit you with professional representation and protection. Good firms will know how to present your case and what information to share (and not share) to achieve an optimal solution. The slightest misinformation or misfiling could set you back to square one. 10. IRS interest and penalties can reach over 40% of the tax debt! That is a tremendous amount of penalties that can be added to your unpaid taxes. Don’t let this happen to you! If it does, you do not necessarily have to pay that in full. Oftentimes in reaching a settlement with the IRS, you can achieve a substantial or full reduction of the past due interest and penalties. Individuals with tax debt can seek successful tax relief strategies that work. Many options are available depending on specific circumstances. This is a program offered by the IRS to taxpayers that allows individuals to pay off tax debt at less than they currently owe. If you suffer from a financial hardship, then an offer in compromise is an option for you to consider. The factors that are considered by the IRS for an offer in compromise include the ability of an individual to pay, current level of income, their expenses and their asset equity. You should consult a debt specialist to see if this is a viable strategy for your situation. This is a tax strategy where you can request that any penalties or interest be removed from your tax debt. The use of an abatement is an option if you can show the IRS good reason why you cannot pay all your taxes when they are due. This can include death, the loss of income, or imprisonment. Consult with your debt specialist to see if a penalty abatement is a viable strategy. This is an option to pay your tax debt when you cannot make the full payment in full or on time. If you owe less than $50,000 in taxes, then you can apply for an installment agreement. You can complete this process online or over the phone. This is a valid strategy if your taxes are current. This is a strategy for tax relief if married taxpayers have filed jointly. If you have a spouse that failed to report income to the IRS, then this is an option to obtain relief from taxes that are owed. This is also an option for people that are separated or recently divorced. You must request relief from tax debt within a 2-year period of being notified of taxes that are due. Taxpayers that do not have the income or resources to pay taxes can request currently not collectible status by contacting the IRS. Consult with your debt specialist for additional details. The post Successful IRS Tax Relief Strategies that Work appeared first on Debt America. A IRS tax levy is the toughest collection tool in the IRS arsenal. An IRS tax levy means that the government has the right to seize your property and assets in payment for unpaid tax debt. Unlike a lien, a tax levy actually gives the IRS the right to take and sell your property to settle your debt. If you have been issued a tax levy, don’t give up: you can still settle your tax debt. Pay the tax debt in full. Once the debt is paid, the IRS will immediate halt the collection process. If you don’t have the funds available to pay the entire debt, options might include taking out a loan, borrowing money from friends or family, or refinancing your home. The IRS agent might be willing to put a temporary hold on collection procedures if you have a reasonable plan for coming up with the money. Set up a payment plan. This may be the simplest and easiest option. If you owe less than $25,000 in back taxes, the IRS will typically stop the tax levy once you have agreed to an IRS payment plan. Set up a partial payment plan. Similar to the installment plan, in a partial payment plan you will agree to pay the IRS what you owe over time. The main difference is that your payments will be smaller than with the installment plan and you must be able to prove that you don’t have the financial resources to make the payments required under the installment plan. Submit a compromise offer. If you submit an offer in compromise the IRS will automatically halt collection proceedings until the offer is reviewed. If the offer is accepted, you must pay the amount of the offer. If the offer is rejected, the IRS will resume collection proceedings unless you can set up a payment agreement. Prove that the levy is causing undue financial hardship. The conditions on this are stringent and the IRS is the final judge. If you can prove that the levy is making it difficult to provide for your families basic needs such as food and shelter, the IRS will lift the levy. Prove that the IRS is trying to collect on assets with no equity. If you can show the IRS that it’s not worth their effort to collect, the IRS may lift the levy. This would only apply in situations where you have little or no equity in your assets, such as a home with a mortgage large enough to offset the selling price. Let the statute of limitations expire. There is a 10 year statute of limitations on IRS tax debt. If the 10 year limit is drawing near, the IRS may try to extend the time limit by getting you to agree to a payment plan or other settlement. If you are on year nine of the ten year period however, you may be able to let the statute of limitations expire without payment. The post How to Remove an IRS Levy appeared first on Debt America.